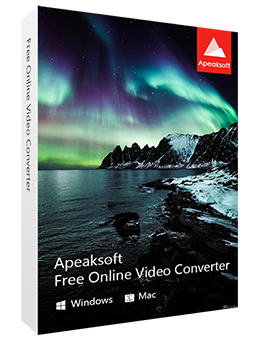 Apeaksoft Video Converter Ultimate 1.0.16 was available as a giveaway on March 19, 2019! 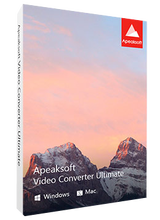 Apeaksoft Video Converter Ultimate is an all-in-one video converter, editor and enhancer. As a powerful video converter, it supports over 300 video and audio formats (4K supported), like MP4, MOV, AVI, MTS, M2TS, WMV, 3GP, MP3, FLAC, WMA, AAC, AIFF, OGG, homemade DVD, and more. For the editing features, you can use Rotate, Crop, Clip, Merge, Watermark, Adjust image/sound effects, etc. to edit videos with ease. Moreover, it enables you to enhance video quality in 4 ways like noise removal, shaky reducing, and so on. Surely there are many more functions designed in this Video Converter Ultimate. Apeaksoft provides 50% off coupon code: APKEGNK (applied to all the recommended products and other products) for all GOTD users. How would you improve Apeaksoft Video Converter Ultimate 1.0.16? 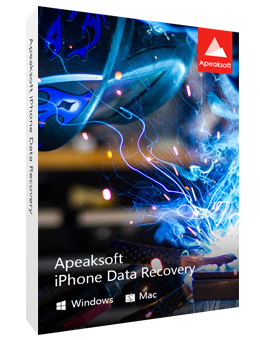 Now get iPhone Data Recovery with 50% OFF Coupon: APKEGNK Apeaksoft iPhone Data Recovery is the toolkit of iPhone, iPad and iPod. It can be the data recovery software to retrieve the deleted text files (contacts, text messages, call logs, notes, etc. ), and lost media content (photos, music, videos, etc.) from iOS devices directly, iTunes backup and iCloud backup. Compatible with the latest iOS, it lets you scan and recover data from iPhone XS/XR/X, iPhone 8, iPhone 7, iPhone SE, iPhone 6s/6s Plus, iPad Pro and iPad mini 4 on your computer. Another two accompanied features are iOS System Recovery and iOS Data Backup & Restore. iOS System Recovery, enables you to fix your iPhone disabled, recovery mode, DFU mode, etc. to normal for using conveniently. 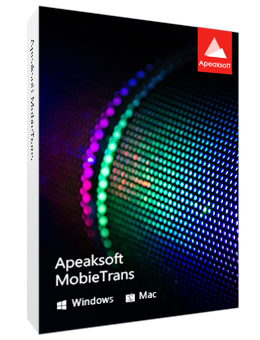 Now get MobieTrans with 50% OFF Coupon: APKEGNK Apeaksoft MobieTrans is the professional iOS data transfer and manager tool which enables you to transfer various iPhone data, create iPhone ringtones, and convert HEIC images with ease. 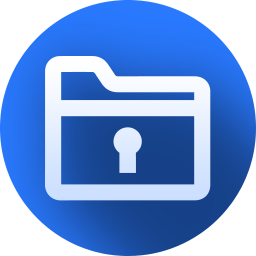 As a professional data transfer (photos, videos, music, contacts, SMS), it allows you to copy any frequently-used iOS data from iPhone/iPad/iPod to iOS device/computer/iTunes, and add data from computer to iOS device. For iPhone ringtones, you are able to create, add and delete ringtones easily. Moreover, you can convert HEIC images to JPG or PNG for easy viewing on your devices. 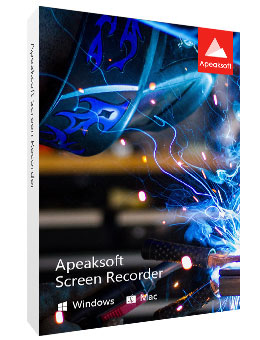 Now get Screen Recorder with 50% OFF Coupon: APKEGNK Apeaksoft Screen Recorder, the powerful screen capture software which enables you to record video and audio on your computer in high quality. It lets you record streaming videos, live songs, online meeting, online game video, video tutorial, and more on your computer for sharing easily. It also kindly gives the option to edit the video while recording like drawing, caption, callout, blurry, etc. Recording area can be customized as window lock or exclusion, and schedule recording is supported when you are not sitting in front of computer. Recording your computer screen in super high resolution up to 4K and export it for universal playback on your any player. 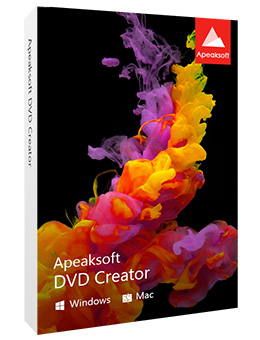 Now get DVD Creator with 50% OFF Coupon: APKEGNK Apeaksoft DVD Creator is specially designed to edit video and burn it to DVD disc, DVD folder or ISO file. When you want to burn MP4 to DVD, this DVD Creator can be your great helper. Video in any popular video format like MP4, MOV, AVI, MKV, FLV, etc. can be used to create DVD. What's more, many key editing functions are offered in this DVD creating tool. You can handily crop/clip/rotate video, adjust image/sound quality, edit DVD menu, add new audio track or subtitle and more. Actually, it also can work as a powerful Blu-ray creator to help you burn video to Blu-ray disc/folder or ISO file in high quality. Adriaan Re "but under a different name"
This is meaningless information. Please supply that name. Re "To convert five minutes, that Video Converter also needed ± 20 minutes"
This is meaningless information. Please supply details of the computer, OS, hardware details, input and output formats etc. Adriaan Re "but under a different name" This is meaningless information. Please supply that name. Re "To convert five minutes, that Video Converter also needed ± 20 minutes" This is meaningless information. Please supply details of the computer, OS, hardware details, <b> input and output formats</b> etc. A fantastic looking video converter, I am very happy with the DVD Ripper function, and the ability to view a preview glitch-free of the file you're about to convert before you convert it. It supports a various amount of formats, but I was unable to find ".Amv" format, still it's a very useful tool indeed! bit.ly/2uhepgn ----My TechVids, thanks for your support for our software. This video convert supports for .amv output format. You can search for .amv format in the search box of Profile settings page and you will find a format as Advanced Media Video (*.amv). Hope this can help you. If you still cannot find it, please write to our support email support@apeaksoft.com for more help. Thanks. bit.ly/2uhepgn ----My TechVids, thanks for your support for our software. This video convert supports for .amv output format. You can search for .amv format in the search box of Profile settings page and you will find a format as Advanced Media Video (*.amv). Hope this can help you. If you still cannot find it, please write to our support email support@apeaksoft.com for more help. Thanks. Apeaksoft Studio, Thanks so much! Downloaded and activated with no problem. Recently had Legacybox digitize old videos for me, but their audio was not compatible with my LG TV thru USB. After running thru this at the default settings, they now play fine. Also allowed me to chop off the static (blank) that was at the end of some of them easily. As for speed, it took around 20 minutes to convert a 2 hour video. Happy... especially for free! My main concern about a video converter is that it maintains the same full screen format. many converters that I have tried reduces the screen size no matter how I adjust the numbers. WinX is the only one I have found that I trust. I will test this one but I would appreciate any feedback on this. dadams, You mean Winx HD Video Converter Deluxe, I also have that Convector and it has no end date. As for your problem, please send us an e-mail to support@apeaksoft.com with your detailed demand. Once we confirm it, we will try our best to help you. Dear dadams, Thank you for your feedback. As for your problem, please send us an e-mail to support@apeaksoft.com with your detailed demand. Once we confirm it, we will try our best to help you. Thank you for your understanding and cooperation in advance. Best Regards! As for your problem, please send us an e-mail to support@apeaksoft.com with the e-mail address you have used to participate this activity and we will have a check if you have participated this activity successfully. Dear apriest, Thank you for your feedback. As for your problem, please send us an e-mail to support@apeaksoft.com with the e-mail address you have used to participate this activity and we will have a check if you have participated this activity successfully. Thank you for your understanding and cooperation in advance. Best Regards! mike, An example; Enelse singing remains as it is. Douglas Spencer, "but the subtitles were not the same as the Dutch dialogue. " That is standard; people can hear more words per minute than they can read. Douglas Spencer, "but the subtitles were not the same as the Dutch dialogue. " That is standard; people can hear more words per minute than they can read. Ootje,.....hear more words per minute......doven en slechthornden hebben baat bij ondertitels. Adriaan, Re "doven en slechthorenden hebben baat bij ondertitels" ie "deaf people and people with hearing problems benefit from subtitles"
Nobody denies that. But it is afact that most people cannot read as quickly as they can understand spoken texts. And subtitles are not only for people with hearing problems, but also for those that have trouble understanding a foreign language. Adriaan, Re "doven en slechthorenden hebben baat bij ondertitels" ie "deaf people and people with hearing problems benefit from subtitles" Nobody denies that. But it is a<b>fact</b> that most people cannot read as quickly as they can understand spoken texts. And subtitles are not only for people with hearing problems, but also for those that have trouble understanding a foreign language. Douglas Spencer, "deaf people and people with hearing problems benefit from subtitles"
If all the spoken text was written out, then you need another screen next to the normal to display all the text. Otherwise you will not see the movie, news etc. Even in my own language I use the subtitles, because some sound is bad spoken, not the right accent , bad articulated etc. Douglas Spencer, "deaf people and people with hearing problems benefit from subtitles" If all the spoken text was written out, then you need another screen next to the normal to display all the text. Otherwise you will not see the movie, news etc. Even in my own language I use the subtitles, because some sound is bad spoken, not the right accent , bad articulated etc. Is there a Mac version of this that can be Downloaded? Todd F, Yes Todd, there is a "MAC" version. It is not listed in this giveaway. You'll have to go to the "Apeaksoft" website to download the "MAC" version. I'd contact "Apeaksoft" to see if they'd be willing to let you install the "MAC" version for the free version for the next year. You'll need the "ReadMe" in today's giveaway. In order to confirm your problem, please provide some necessary information for us. You mentioned that "there's an easily-turned-off nag screen within the program ", please tell us more details about this problem. Did you receive any error message? If yes, please send us a screen shot of the error page via e-mail: support@apeaksoft.com for a check. Dear bobby joe, Thank you for your feedback. In order to confirm your problem, please provide some necessary information for us. You mentioned that "there's an easily-turned-off nag screen within the program ", please tell us more details about this problem. Did you receive any error message? If yes, please send us a screen shot of the error page via e-mail: support@apeaksoft.com for a check. Thank you for your understanding and cooperation in advance. Best Regards! The Apeaksoft Video Converter Ultimate could support Windows 7 32 bits computer, you mentioned that you couldn't open it, did you receive any error message? If yes, please send us a screen shot of the error page for a check. You could send it via e-mail address: support@apeaksoft.com. Once we confirm your problem, we will try our best to help you. Dear Dave, Thank you for your feedback. The Apeaksoft Video Converter Ultimate could support Windows 7 32 bits computer, you mentioned that you couldn't open it, did you receive any error message? If yes, please send us a screen shot of the error page for a check. You could send it via e-mail address: support@apeaksoft.com. Once we confirm your problem, we will try our best to help you. Thank you for your understanding and cooperation in advance. Best Regards! Win7 32 bit is a bit rare [e.g. AMD doesn't even provide 32 bit graphics drivers anymore], so figuring there might not be anyone else to give it a try, I fired up my win7 32 bit VM, and Apeaksoft Video Converter Ultimate does install & run. There were several new diagnostics entries in the registry however, so there **might** well be some issues that were just more severe on your system. Dave, Win7 32 bit is a bit rare [e.g. AMD doesn't even provide 32 bit graphics drivers anymore], so figuring there might not be anyone else to give it a try, I fired up my win7 32 bit VM, and Apeaksoft Video Converter Ultimate does install & run. There were several new diagnostics entries in the registry however, so there **might** well be some issues that were just more severe on your system.